The cult classic TV show is now a charming picture book for the youngest fans in the Buffyverse! In this new picture-book story brought to life with cute and colorful illustrations, young readers see what the world's strongest vampire slayer was like back when she was a kid! 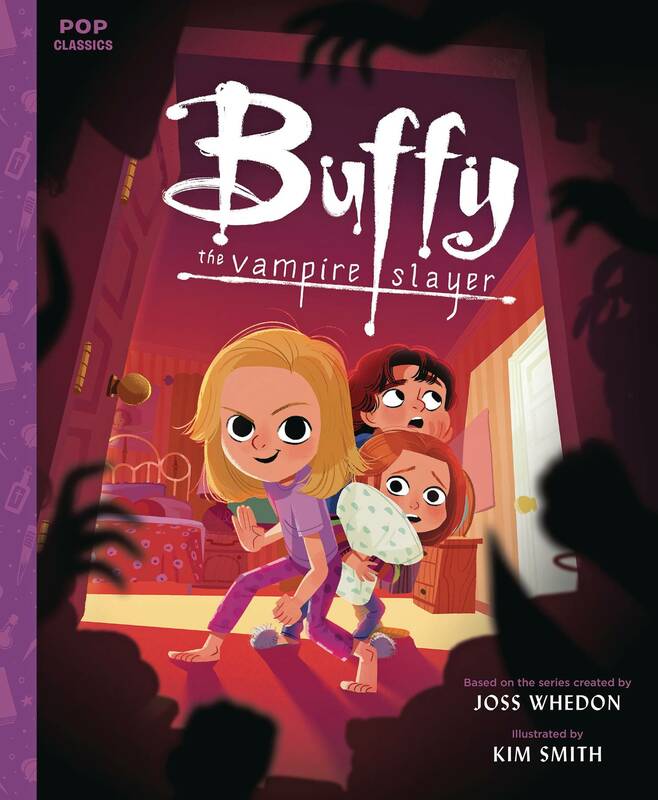 Join not-so-brave little Buffy, Willow, and Xander as they investigate strange sounds coming from the closet, seek advice from their school librarian Giles, and encounter everyone's favorite Buffyverse monsters. Charmingly illustrated by Pop Classics artist Kim Smith, this sweet, silly, and not-so-scary book borrows Joss Whedon's beloved characters to tell an endearing bedtime story..